This absolutely stunning 2-story brick farmhouse is set in a quiet country setting with lots of character and craftsmanship! The "Silver Lining" Homestead is well-kept and move-in ready with all the necessary updates. Step onto your grand wrap around porch before opening the front door to reveal hard wood floors in the dining room and living room areas with built-ins for added storage. Kick off your shoes and step into the large eat-in kitchen, also with built in cabinetry. Through the kitchen you reach the first floor laundry and a half bath on one side, and the screened in sun room with french doors on the other. Upstairs there is a large bath/dressing room with a claw foot tub and a standing shower. The home is heated by oil/hot water, with back up wood/hot water systems. The 2 car garage with workshop and a partially fenced in yard round out the character of this home! Perfect â€œFARMâ€ feel without any of the work! Home Warranty included. Listing provided courtesy of RE/MAX Real Estate Consultants, LLC. I was searching for a Property and found this listing (MLS #1355947). 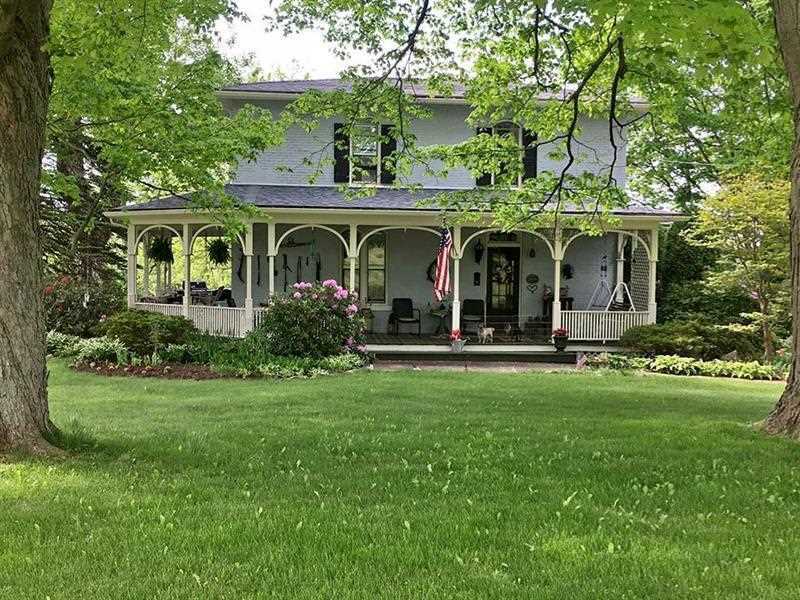 I would like to schedule a showing for 2386 Millbrook Road Kennerdell, PA 16374. Thank you! I was searching for a Property and found this listing (MLS #1355947). Please send me more information regarding 2386 Millbrook Road Kennerdell, PA 16374. Thank you! MLS # 1355947: This property at 2386 Millbrook Road, Kennerdell, PA 16374 is located in the subdivision and is listed for $189,900. MLS # 1355947 has been on the market for 243 days.